How do you initiate and sustain the lean transformation of your organization? Results can be achieved by any means necessary. But in an organization that practices continuous improvement, these means are anchored on the principles for operational excellence. Moreover, the practice of behaviors aligned with principles must start with senior leadership. We call these ideal behaviors - and you must first model the way. Our experience has taught us that one of the leadership practices fundamental to initiating and sustaining a lean transformation is to "go and see" what good looks like. See for yourself how an organization has achieved the practice of ideal behaviors from the senior leadership team down to the front lines. 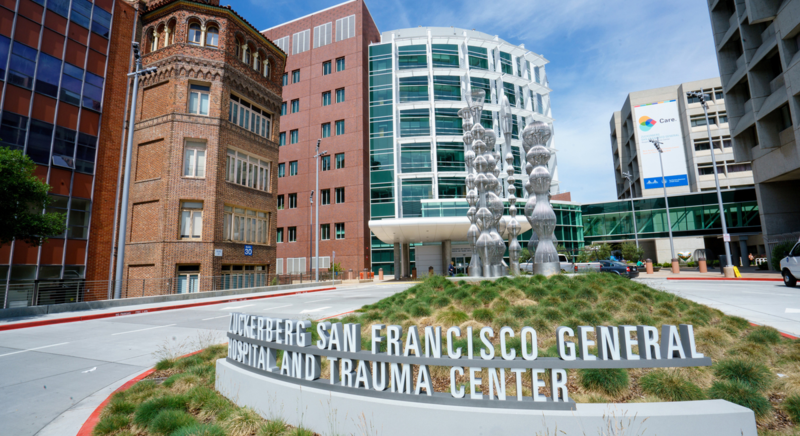 During this one-day session participants will experience how the Senior Leadership Team at Zuckerberg San Francisco General Hospital and Trauma Center visually manages the priorities of the organization. Participants will also spend time in the gemba learning how staff and physicians partner to deliver value to their patients. Gain a deeper understanding of the role and behaviors required of a senior executive in leading a lean healthcare organization. Gain insight from Zuckerberg's successes, and failures, to address the most challenging issues leaders face on the transformation journey. Learn how to sustain the improvement by going beyond the "tools," by aligning the organizations culture around the guiding principles. See how leaders create a work environment focused on developing people to identify and solve problems daily. Attendee substitutions may be made without penalty at any time. Full refunds will be issued if written notice of cancellation is received on or before October 19, 2019. If cancellation is received after this date, a refund will be issued minus a $200 fee per person for each cancelled session. If a registered attendee does not provide written cancellation prior to the program date and does not attend, no refund will be issued. Catalysis may cancel a learning experience at any time due to weather, other uncontrollable events, or if we have fewer than 10 attendees registered within 30 days of the program date. All participants will be notified by email and full refunds will be issued for the registration fee. No refunds will be provided for travel expenses participants may have incurred.